Since 1923 the Maluhia nursing staff have been providing quality nursing care to all who have entered its doors. Starting off as a private facility, it then became a City and County Hospital, then a State of Hawaii facility under the Department of Health, until its current status as part of the Oahu Region of the Hawaii Health Systems Corporation. Nursing care focuses on evidenced based practice that is respectful and compassionate. Our nursing staff is proud to work here and always find ways to improve their skills, knowledge and expertise. We work hard to create a nurturing and homelike environment. We want to help our residents/patients achieve their goals by using best practices and innovative approaches in their care. Caring for the elderly in long term care nursing home requires our staff to be not only competent and skillful, but sensitive, caring and thoughtful. Each resident admitted comes with his/her own life history and unique needs and concerns. Working in partnership with the resident/families and collaboratively with other health care professionals, and using evidenced-based best practices, Maluhia’s nursing staff is able to provide quality care and enhance the quality of life for each of our residents. Maluhia has 4 units with a total of 158 long term care beds. Skilled Nursing Care (SNF) – a medical level of care that requires 24 hour skilled care such as physical or occupational therapy, nursing monitoring, etc. Intermediate Care (ICF) – a medical level of care that requires intermittent nursing care. It is also known as custodial care. 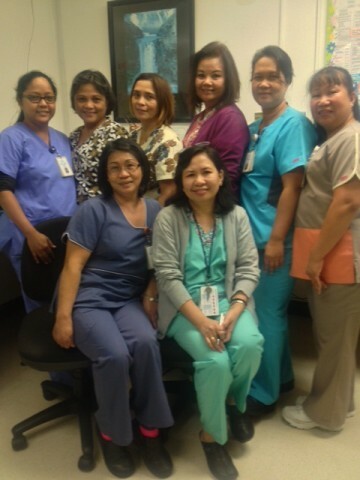 Nursing works collaboratively with all disciplines in providing the quality care that Leahi is known for. Care can include intravenous care, g-tube feelings, tracheostomy care, medication administration, restorative care, hospice care, and disease management. To be recognized by the community as a proud center of excellence for extended care that promotes a respectful, healing and caring environment through the highest quality nursing care. The caring art and human science that is nursing in our delivery of care. Fostering a collaborative, interdisciplinary, and comprehensive approach across the continuum of care. Delivering compassionate, culturally and ethnical sensitive, patient/resident-centered care. The strength of our diversity. Achieving excellence in patient/resident outcomes through continuous performance improvement using evidence –based practice. Following ethical principles to protect the health, safety, and rights of our patients/residents and co-workers. Patient/resident and family education to promote optimum level of health and wellness. Fostering open, respectful communication to enhance interpersonal understanding, healing and care. A culture that supports empowerment and accountability. Continuing education that fosters professional growth, competence and critical thinking. An environment that nurtures and supports accomplishments, self-esteem and a love of nursing. The scope and standards of Nursing practice and professional practice as promulgated by the American Nurses Association and the National Gerontological Nurses Association. Manifesting the spirit of ohana and aloha that is special to our islands.